Last time I left you hanging right after I’ve sanded and added Tamaiya Putty to my dome. After I got back from a bit of well deserved vacation, it was time to (in very little time) try and get this as finished as I could in just a day to exhibit on the upcoming Science Fiction convention in Uppsala here in Sweden. 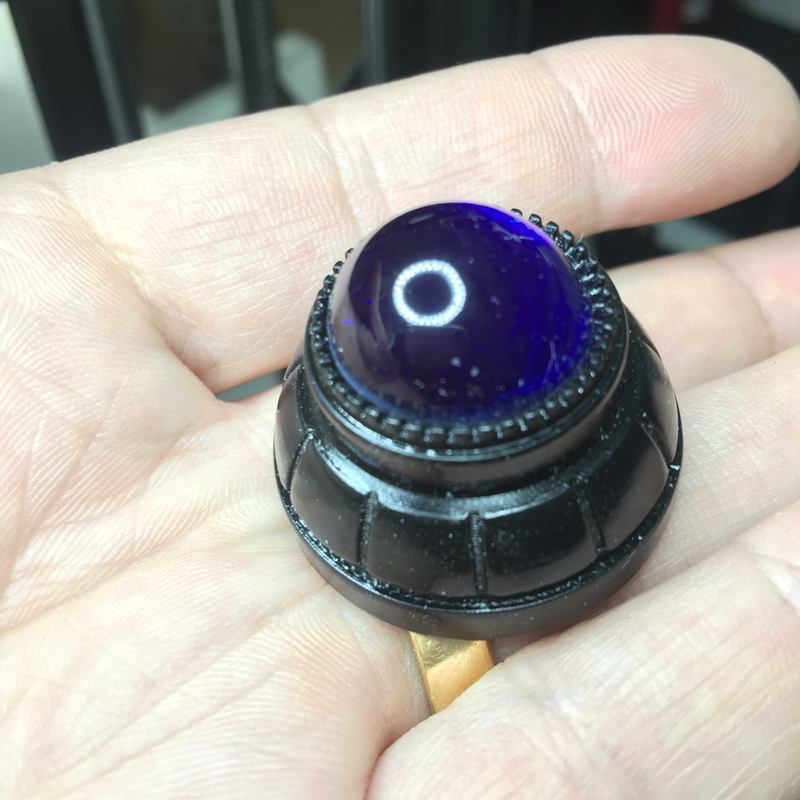 While being away on vacation, I got a nice package from my friend Michael Erwin in the US, who sent me a custom made lens for the holo projector for BB-8. A little bit of sanding and just a touch of glue to keep it in place for now, and this part is done! I still need to find a good dark grey paint and change the main colour, but the part itself is done! Next up was the dome. 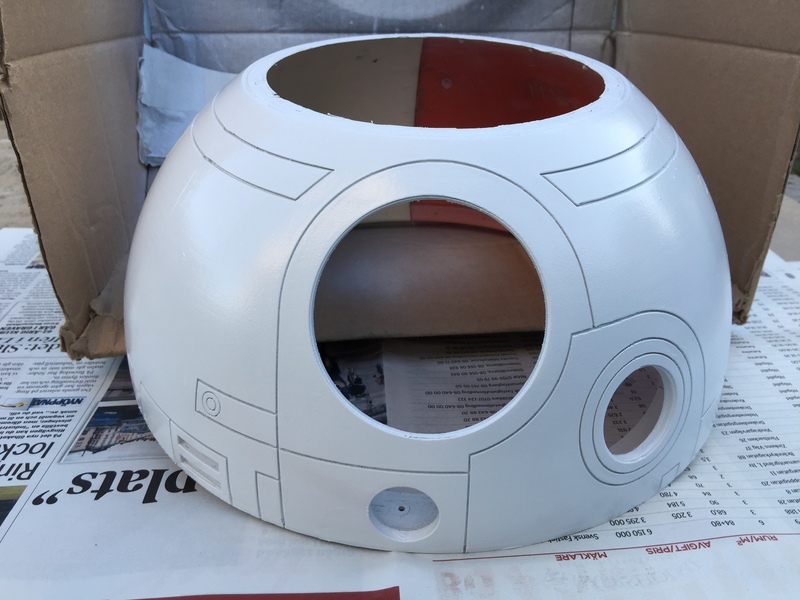 I knew I still had a few small blemishes here and there, and the joint between the dome thirds is not 100%, but I wanted to show something BB-8-ish at the convention, so off to the back yard and start painting! A bit of filler primer, and it looks a lot smoother all of a sudden. Normally this is where I would wait for this to cure properly and then sand it down to basically nothing, but no time to waste! As soon as the surface was dry, It was time to hit it with my Satin White! 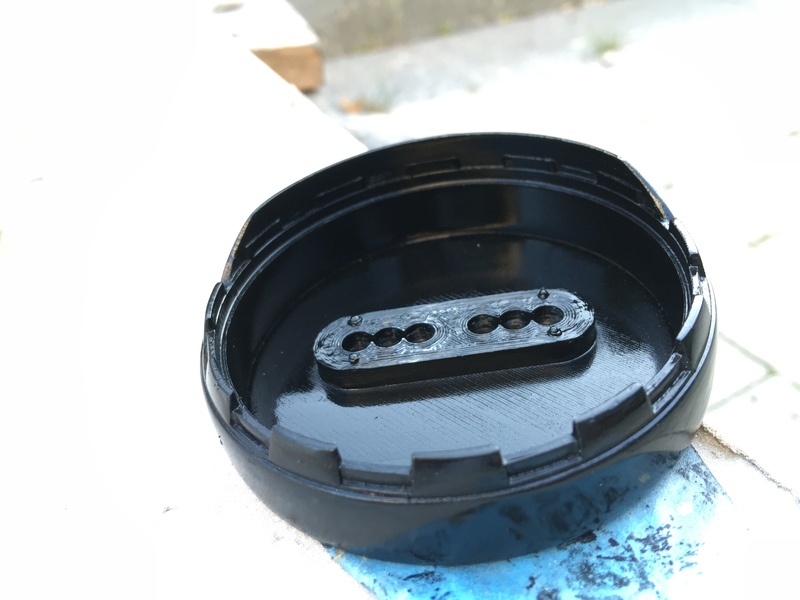 Not having enough time to wait for the paint to cure properly, next up was clear coating. Naturally I ended up with a little too much and it got a little runny in one spot. Fortunately, I managed to fix this pretty well, but even so, I am still going to sand this dome after a bit of putty on a few places, and then repaint it. 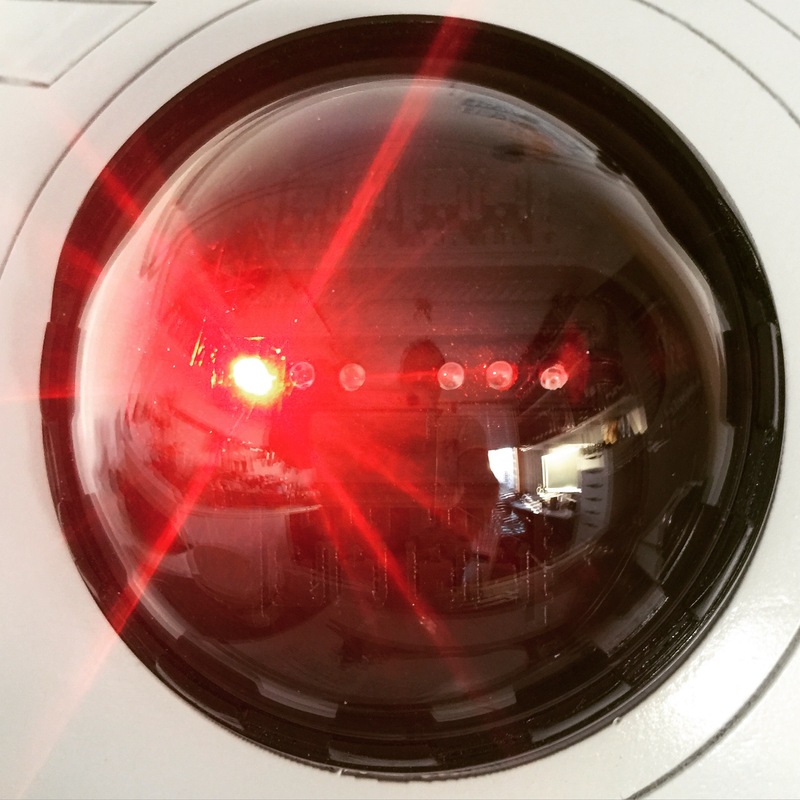 Next up was the Radar Eye. 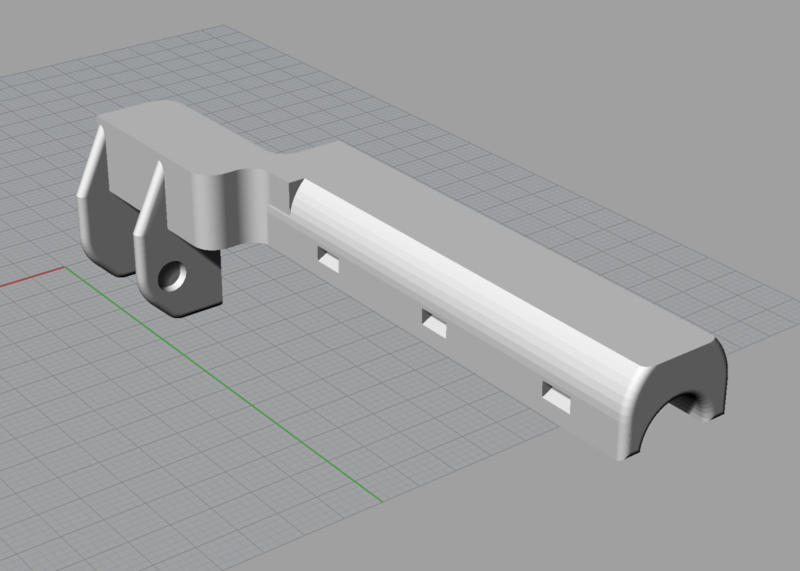 It does have a bit of texture from the print still, and I could fix this with a bit of filler primer, but to be honest, I like the extra texture. It gives a bit of depth to the overall look. 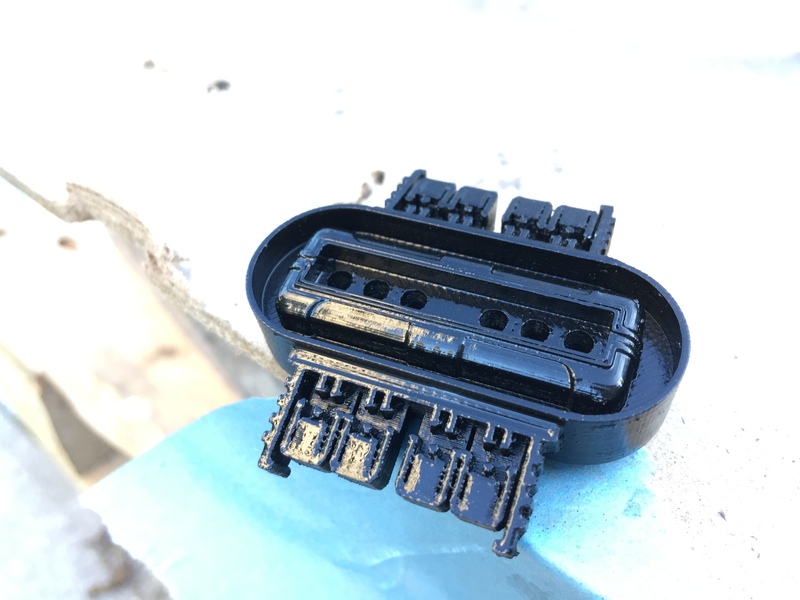 Even though I printed the Radar Eye insert at 0.05 mm layer height, and no sanding was done, as it looked just perfect in black ABS, I did still cover it with a thin coat of black paint, and subsequent clear coat. It just looks better and better. Can’t wait to put this all together! Waiting for the pieces to dry, it was time to focus on other tasks. Making a lens for the PSI is one of those things. 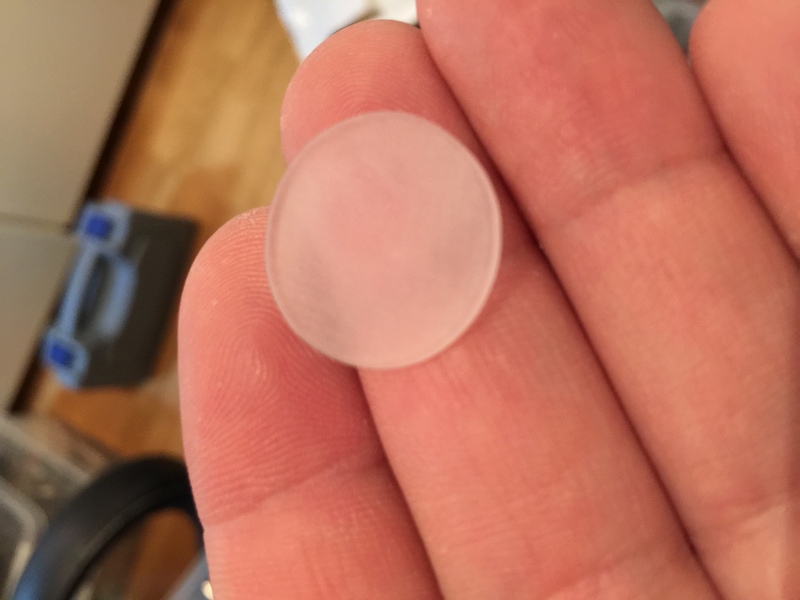 The PSI lens should be small and round and sort of see thru, but milky white. 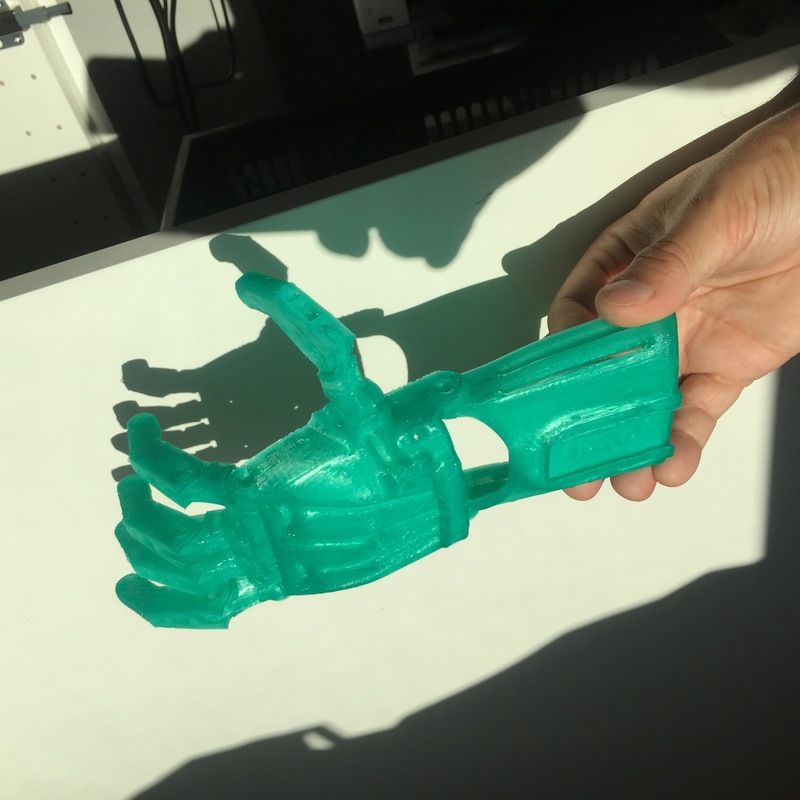 A bit of clear acrylic will have to do! Away with the covering plastic and start cutting out the circle. Basically I cut a basic circle with my cutters. 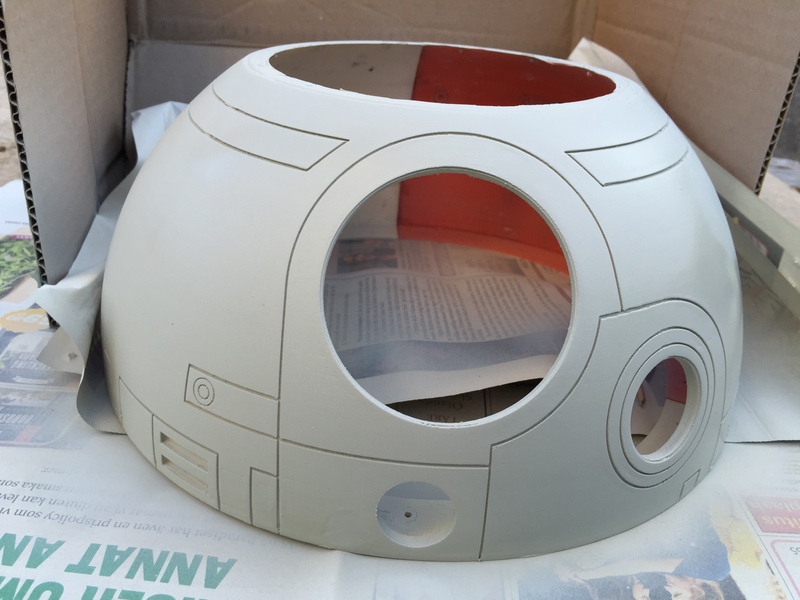 This was neither round nor pretty, but some thick sand paper and some patience solved this nicely. Once sanded, I brought out some 600 grit sand paper and sanded the fronts and backs of the lens as well to give it a nice, milky, see through look. Yes, it was really a rough sort of roundish piece that has been sanded by hand to this shape. Honestly! 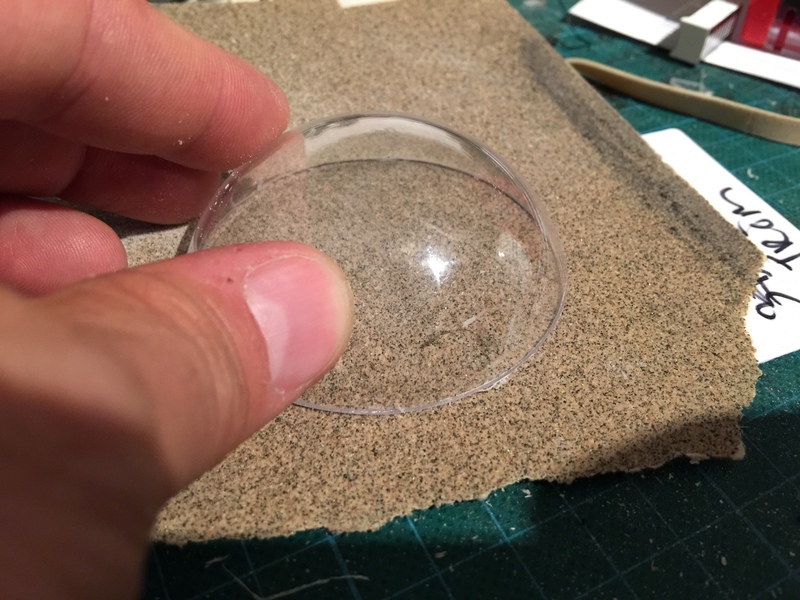 Time to do the Radar Eye lens! 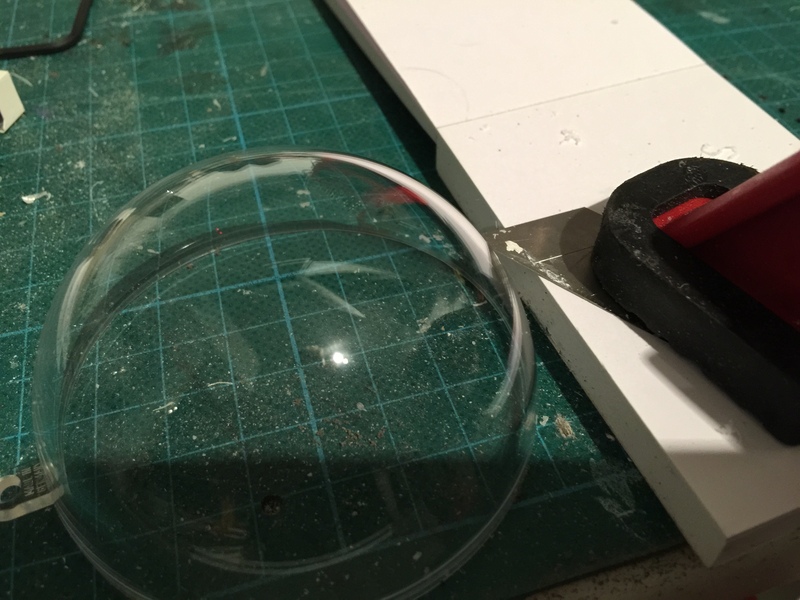 Having ordered a couple clear acrylic 70 mm hemispheres (to allow for failure), I set up a blade from a break blade knife on a small pad of paper and clamped it all down real good. I then pushed the hemisphere down and against the blade white rotating it as I went along. 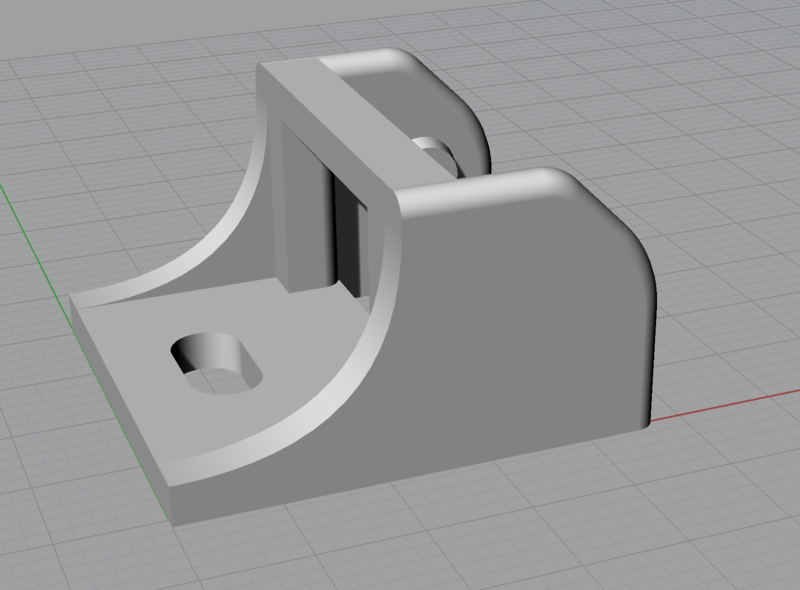 After the first attempt I found the proper height from the pad, and did it all over again, a bit more careful this time as well. Once I had cut through, I sanded off any rough edges through sanding on a flat sandpaper that was on my desk. 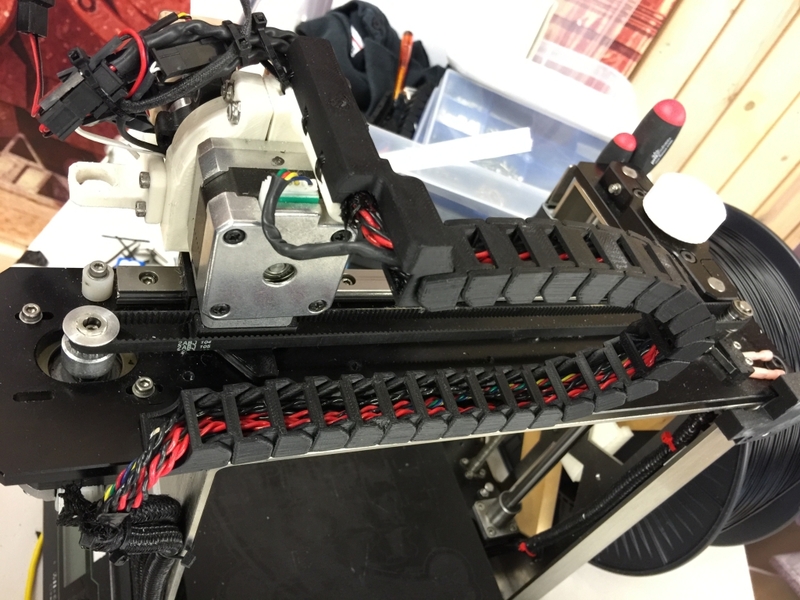 Next up: I had a couple of red LED’s lying at home, and I carefully pushed them into the small portion of the Radar Eye insert, and put shrink hose on the legs and routed the legs through the Radar Eye housing. 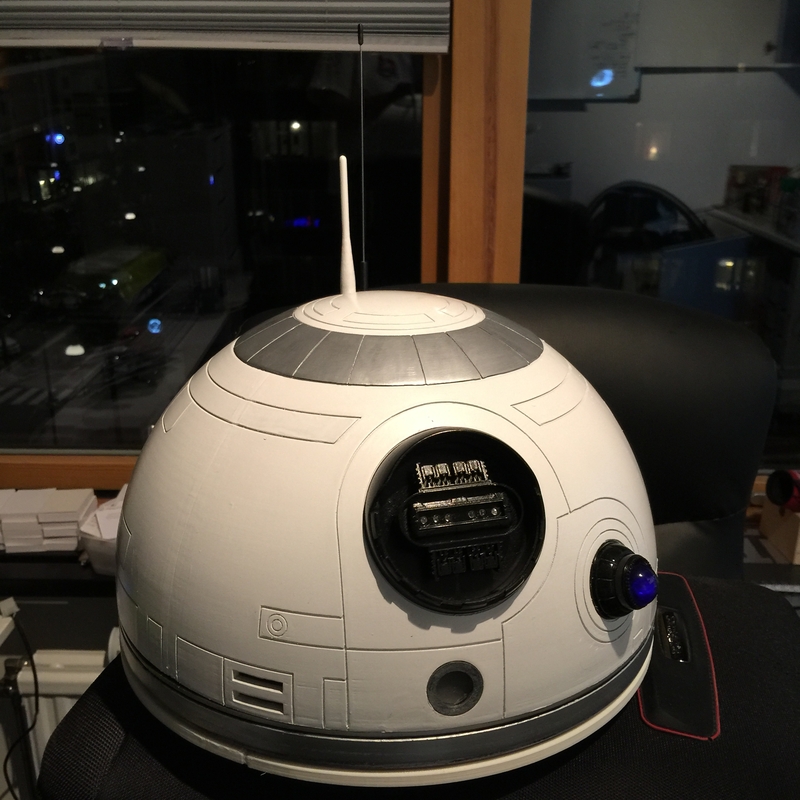 A small 3 volt battery hooked up (actually, taped) to the LED and it gives us … this! It really gives a 2001 vibe, doesn’t it ? PSI insert was treated with a bit of silver rub and buff (after looking at pictures since, I realize this was a mistake, but I will fix that when things calm down a bit.. 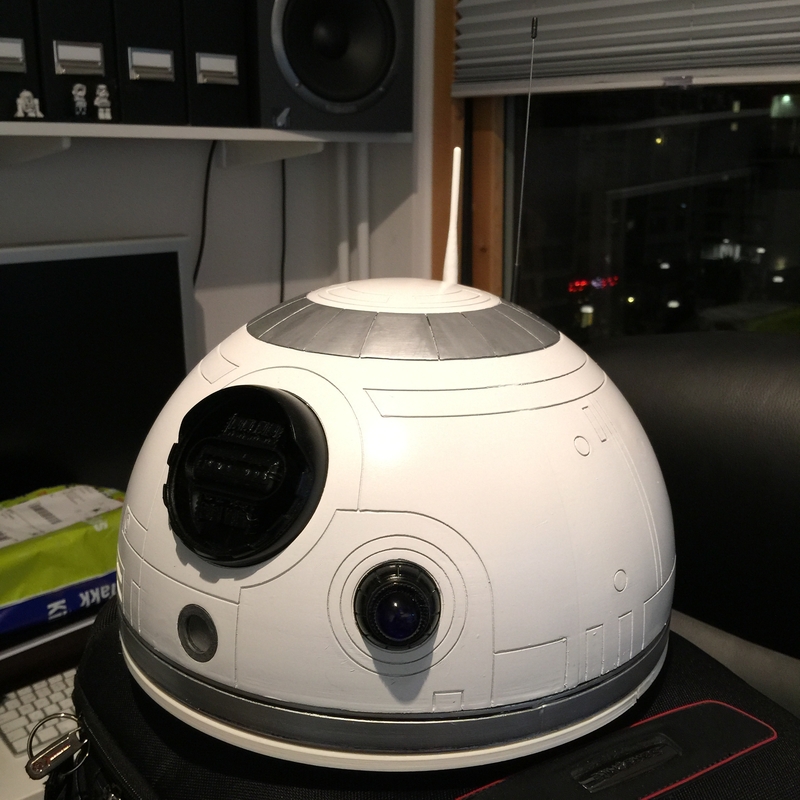 The Radar Eye was pushed in to the opening, same with the holo projector. I actually glued the housing of a LED flash light on the back, so all I need to do in order to get it to lit up, is solder a few cables and attach a battery! No time to fix the dome ring or the dome skirt for now. They area bit crooked, but I will print them over again at a later point. Anyway, this is the result. Starting to really look as it should!